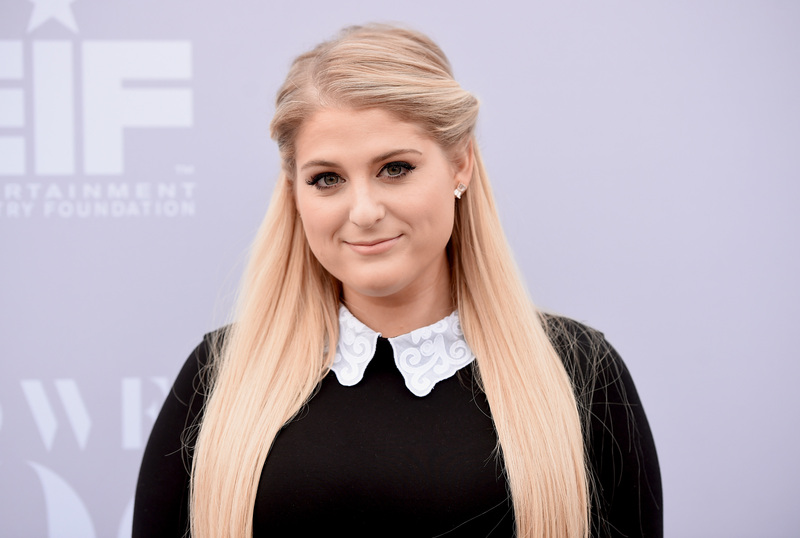 Good news for all of you Meghan Trainor fans — apparently, the blonde songstress has some new music on the way for us! This weekend, Trainor debuted "Just A Friend to You" on Instagram in little video clips, and I have to say — I am loving her new sound. But, what do these clips say about the new music that she has coming our way? This Grammy-nominated singer has a very distinct sound and style that made her quickly rise to the top of the pop and radio charts when she broke out onto the scene with her first mega-hit single, "All About That Bass." Since then, she has released songs and singles of similar style and magnitude, like "Dear Future Husband" and "Lips Are Movin'." These, along with her debut album Title, gave us a pretty clear idea of her sound and the direction she wanted to go in — and she has only continued to since then. Love the stripped down, acoustic sound! The addition of her girlfriends as backup dancers was a fun choice. Ugh, can we just have this song now, please? From the sound of it, the "All About That Bass" singer seems to have some different styles up her sleeve for her next album. The stripped down nature of "Just a Friend To You" is not only beautiful, but it highlights Trainor's vocal ability. It allows for listeners to get to hear her talented range. Does this mean that this is more of what we are going to hear from Trainor in the near future? While the singer's doo-wop sound is what put her on the map in the first place, and made her a standout on the charts, it's nice to hear something of different style from her. While she shouldn't completely ditch her original style and genre, it's nice to shake things up to show that she's capable of singing other styles of music well. Plus, her devoted fans will support her regardless! I don't know about you, but I love hearing new music from our favorite chart-toppers! Lucky for all of you other pop music lovers, it looks like Meghan Trainor has some new music coming our way. Can't wait to see what this blonde songstress has for us next, and can't wait to hear "Just a Friend To You" in full! Soon, please.